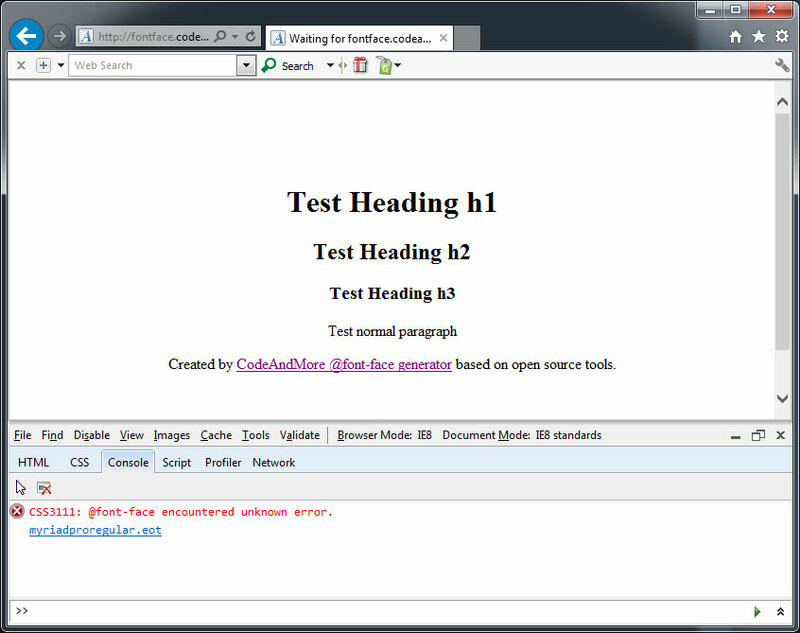 This happens for specific fonts you convert to @font-face using CodeAndMore @font-face kit generator. 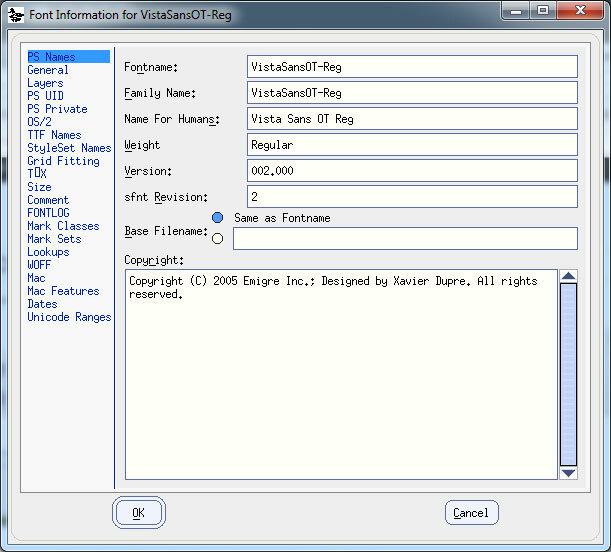 Most of times, this relates to invalid font info which can be fixed using FontForge. 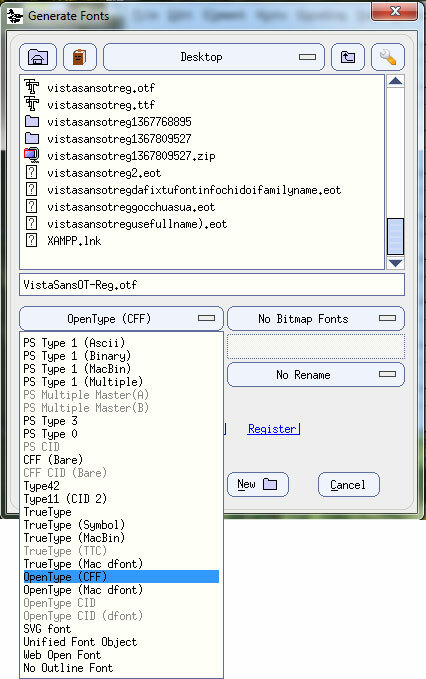 For some fonts you may need to change in TTF Names / English (US) – Family to the same font name before generate font. The solution (for above things, in stroked text) is now integrated directly in the generator. 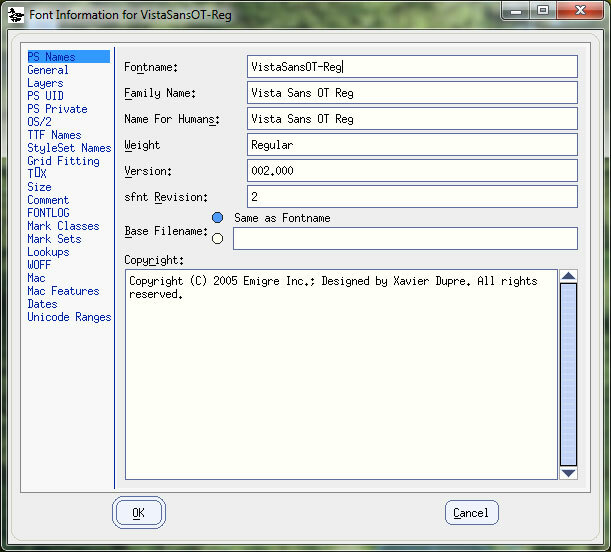 Most of the time you can just upload your font here without using FontForge. 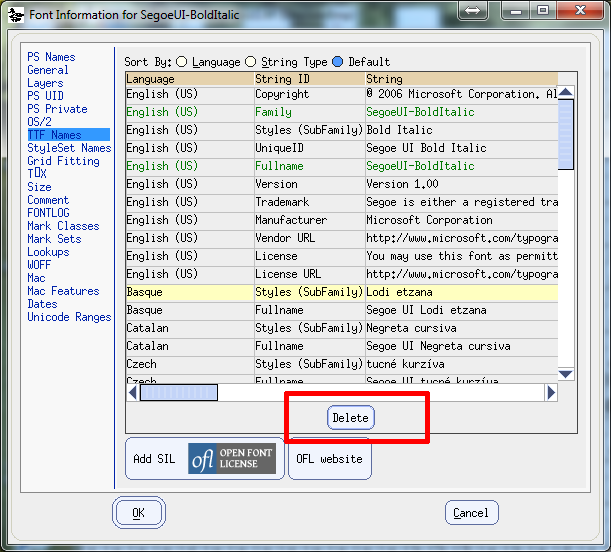 For some fonts you will need to remove all languages out of English (US). 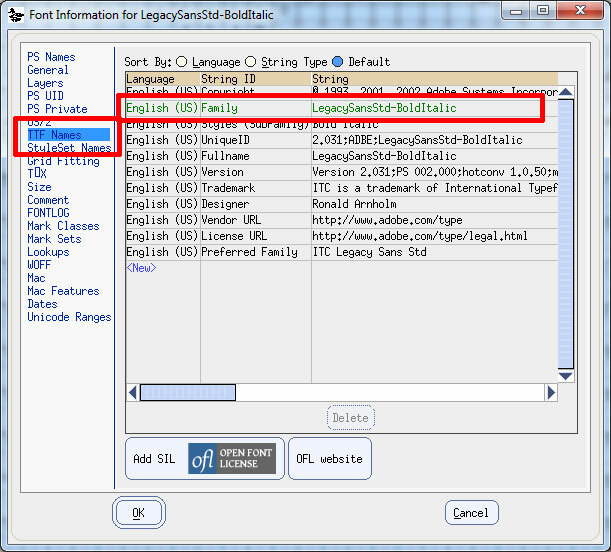 In TTF Names, choose the item with different language, and click Delete. Choose Open Type (if you open an Open Type font), True Type (if you open a True Type font, but that does not matter much because CodeAndMore @font-face generator can work with both) and save, if any warnings just proceed, save anyway etc. Use that generated font file to convert and test result. Enjoy fixed EOT file on IE7, IE8. Created by CodeAndMore, based on open source tools.